Check out Aaron Lee Tasjan’s NPR Tiny Desk Concert. 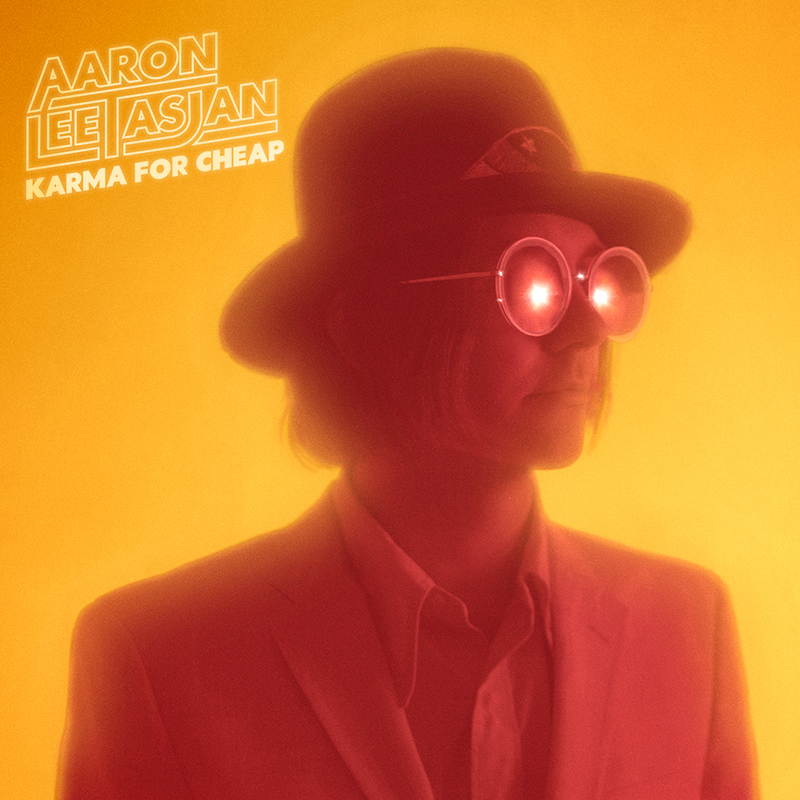 Plus Aaron Lee Tasjan announces North American headline tour launching March 30th + addition appearances supporting Cheap Trick and Jason Isbell. I made an album called Karma For Cheap. It's got Brian Wright, Seth Earnest, and Tommy Scifres on it. Sheryl Crow sings on it. Jeffrey Trott and Gregory Lattimer helped me produce and record it. Curtis Wayne Millard did the photos for the album. It comes out August 31st on New West Records. I would love if you listened to it. I hope you love it. But, hey, there's no pressure, man. Take it easy. Keep it greasy. I am most grateful for the opportunity to see the world in which I live and love these people in it. Gratitude all around. Keep up the good work. Don't give up. Thank you. Check out the new video for "Till The Town Goes Dark"
ALT March Headline Tour Starts Next Week! ALT is headed for the East Coast next week, grab your tickets now! It's finally here! The new album Silver Tears is available everywhere fine music is sold or streamed. Watch the video for "Memphis Rain"
The new video for the song "Memphis Rain" is premiering today on Rolling Stone. Watch, you should. Are you a dreamer? Do people often say things to you like, "You're still finding your thing" or "I'm pregnant?" Well, let me tell you, your troubles are only beginning. And to that end, how will you deal with all of this? I can tell you for a fact, a proven fact that science has proven, the answer is simple: folk rock music. And no we're not talking about your parents' dated John Jacob Niles album. We're talking about the kind of guy whose dancing was once referred to as "Freedom" by Bono of the U2. It's a true story. Ask BP Fallon. So look, I'm not gonna tell you how to live your life or pretend to know secrets that will help you change for the better. But I can tell you this: Don't ruin a good apology with an explanation. No one wants to hear about why you're sorry. So when you get out into the world and figure out that you don't have all answers, feel free to tune into my record, Silver Tears, where I will tell you that I don't have them either BUT with a capo. Listen to "Little Movies" now on NPR!